The Sacrament of Confirmation provides the Grace of strengthening our commitment as Christian Disciples and equips us for participation in Christ’s Mission through the gifts of the Holy Spirit. It is through this Sacrament that our initiation as Christians is complete. Teens entering junior year of High School may seek the Sacrament of Confirmation. The Teen Confirmation program meets on the 2nd and 4th Sunday of the month, mid-September through May and on other specified dates. • Have attended at least one retreat, youth rally, or mission’s trip through St. Joseph Parish, and have completed 10 hours of service per year prior to their Confirmation year. • If they do not meet this prerequisite, they may not be Confirmed until 12th grade or when they are a freshman in college, depending on what they have to do to fulfill the above noted requirements. • Attend and fully participate in the Confirmation Prep sessions. • Attend the two-night Confirmation retreat or a retreat of equivalent length with another parish. • Complete at least 20 hours of community service. If one of your teens is in need of the Sacrament of Confirmation, send an email to Lori Labadie, Director of Youth and Young Adult Ministry or call the CFM office at 262-662-3317. Adult Catholics who have not received the Sacrament of Confirmation are encouraged to seek this Sacrament. Preparation for this Sacrament is held as a part of our Rite of Christian Initiation of Adults (RCIA). Generally adults receive the Sacrament of Confirmation during the Easter Vigil. 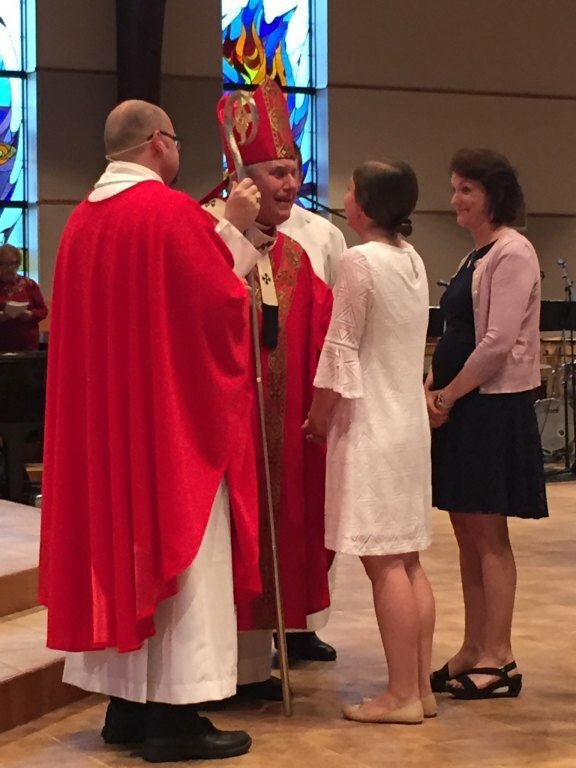 If you are in need of the Sacrament of Confirmation, send an email to the parish or call the parish office at 262-662-2832 to schedule an appointment to discuss further.